The name Pastorelli translates from Italian to “little shepherd.” Perhaps, then, the Pastorelli family’s long history with Pecorino Romano cheese, the sharp, salty sheep’s milk cheese, was fate. It all started around the time of the reunification of Italy in the late 1800s. That’s when the Pastorelli family started a primitive but efficient food distribution business. Amedeo Pastorelli was the postmaster of the town of Lucoli, L’Aquila in the heart of the Appennine Mountains. Farmers, peasants, and professionals came to his small post office building to make small shipments of home-produced food products. 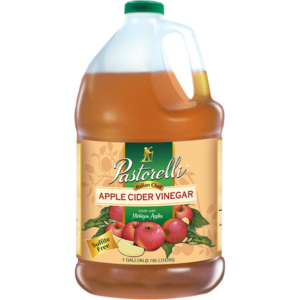 Amedeo figured he would stock some of those products that the people in the outlying areas produced. He then would find large buyers by accumulating stocks of cheese, olive oil, nuts, and other local products. In an old subterranean cellar, cheesemakers stored the now world-famous Pecorino Romano cheese for aging. They would rub the cheese with locally produced olive oil mixed with black ground pepper and wine vinegar. The small sheep-raising families would produce only a dozen loaves of cheese per week. 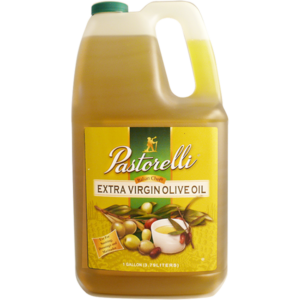 Pastorelli’s enterprise, however became very successful, because instead of their curing it for six months, the cheesemakers could get supplies from Amedeo in payment for their cheese. They would return up the mountain with goat skin containers full of olive oil and other ingredients. 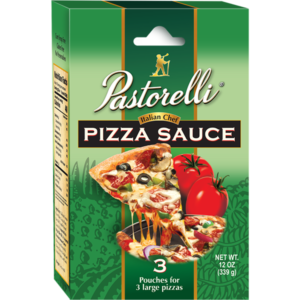 Five generations and some 150 years later, the Pastorelli business has grown and evolved. 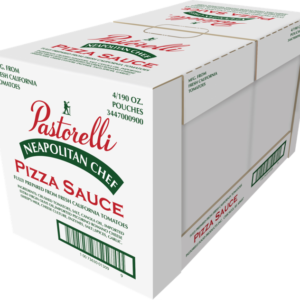 What started as hauling cheese on mules’ backs has become manufacturing pizza sauce. A piece of the origin story that remains, though, is the Pecorino Romano cheese. 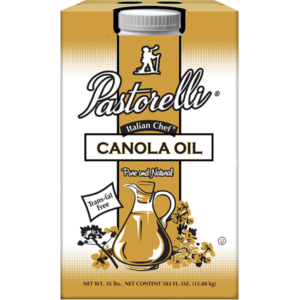 This cheese is a key ingredient in Pastorelli’s famous Italian Chef Pizza Sauce. 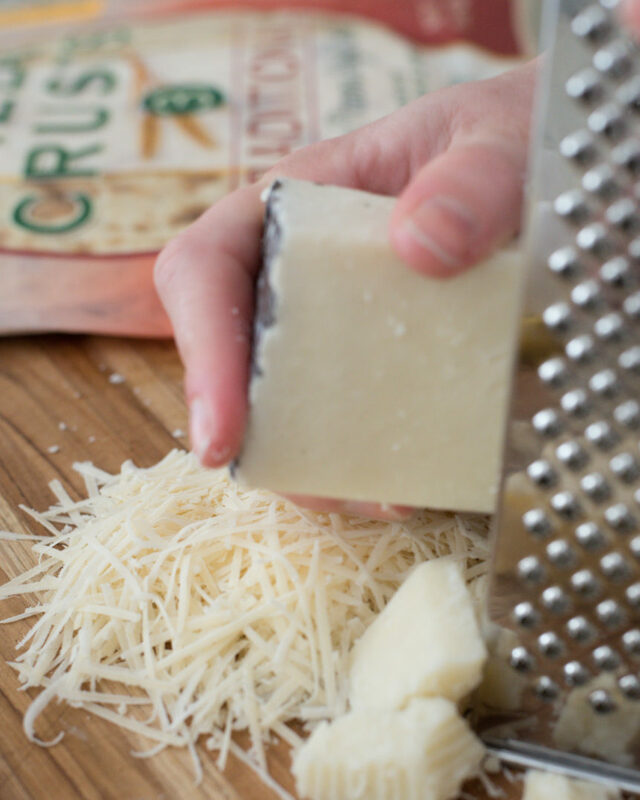 So what makes Pecorino Romano Cheese so special? Pecorino Romano Cheese has over 2,000 years of history, being a preferred delicacy of the ancient Romans. Roman soldiers used it for rations because it stores well for a very long time. Modern cheesemakers still make it according to the ancient cheese-making processes. After the milk is collected from the sheep, it’s curdled then salted. The cheese then ripens at a constant temperature in the dark for about 8 months. A quality control panel ensures that cheese producers meet all quality standards before giving its (literal) stamp of approval. The name of the organization is “Consorzio per la Tutela del Formaggio Pecorino Romano,” which translates to “Consortium for the Protection of the Pecorino Romano Cheese.” In a commitment to this quality, the Consorzio stamps each wheel of Pecorino Romano cheese with their trademark. Then the producer signs the rind of the cheese, personally guaranteeing the quality. Pecorino Romano Cheese, (like the popular Parmiggiano Reggiano cheese or Prosecco wine) is a commodity governed by the Denominazione di Origine Controllata (DOC). This means that for it to be authentic, it must only be produced exclusively in certain regions of Italy. In the case of Pecorino Romano, it must be produced within the farmlands of Lazio and Sardegna. 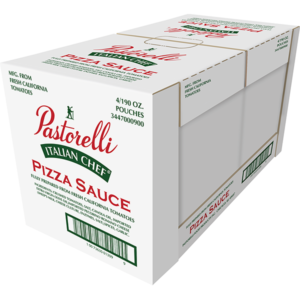 Using authentic Pecorino Romano cheese as an ingredient in the Italian Chef Pizza Sauce is not just what gives the sauce its memorable flavor, but it’s also an homage to the origins of the Pastorelli family business. 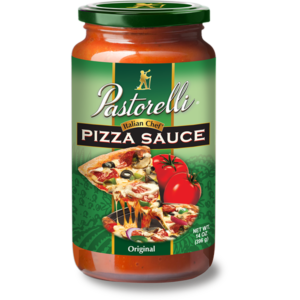 See if you can pick up on its flavor next time you enjoy our pizza sauce.